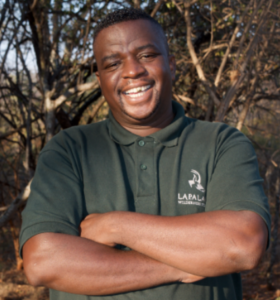 Lucas came to Lapalala Reserve in 1999 as a field guide conducting game drives and walks. In 2003 he joined Lapalala Wilderness School as an environmental officer and quickly developed a deep interest in EE. Lucas is passionate about the Eco-Schools project, which he has successfully developed and run at Lapalala for several years.